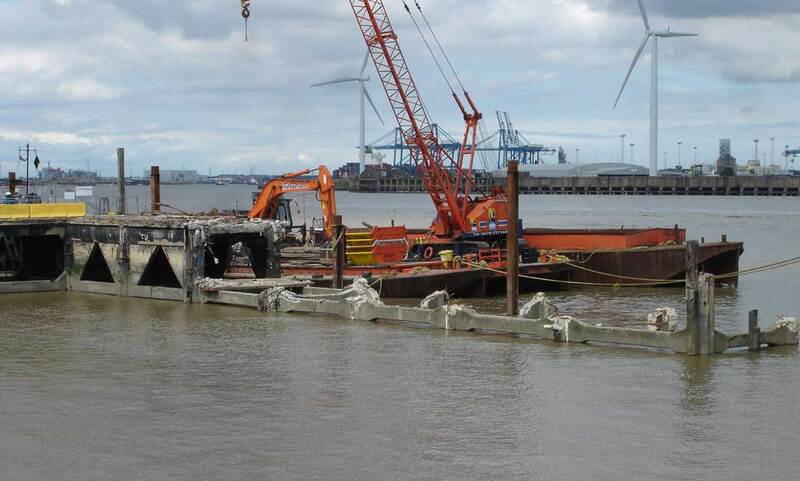 e offer Marine Demolition Services for any size of job, from large to small. We provide you with the experience and plant for the controlled removal of marine structures and disposal of waste materials in accordance with regulations and in strict compliance with health and safety legislation. Our experience in marine demolition means that you don’t have to worry about the removal of your dilapidated marine structure. Demolition and removal is always undertaken with due regard to environmental and marine life. We work in conjunction with national demolition contractors such as Syd Bishop & Sons Ltd where we offer waterside demolition services. 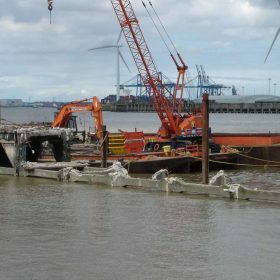 To discuss your marine demolition requirements please contact us. 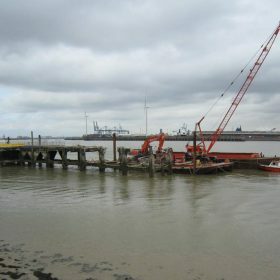 Demolition of a Jetty at AEI, Northfleet. 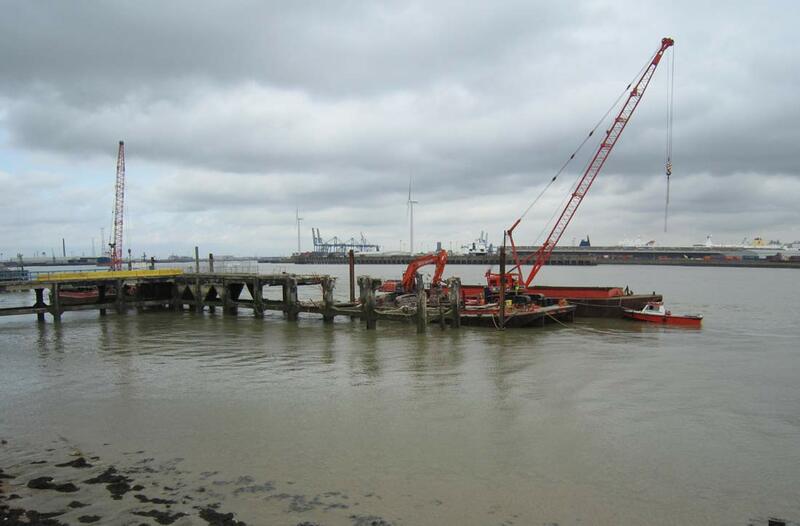 Marine demolition services, demolishing a jetty at Northfleet.